The other weekend we made another day trip into the Kyushu Central Mountains, our favorite mountain exploring area. It was a fine day, clear, temperature in the 20s, such as we’ve been having continually for nearly a month now. Besides exercise and relaxation, our excursions here are also part of an ongoing project to thoroughly map the trails of this wilderness (no decent hike map of the whole area exists). 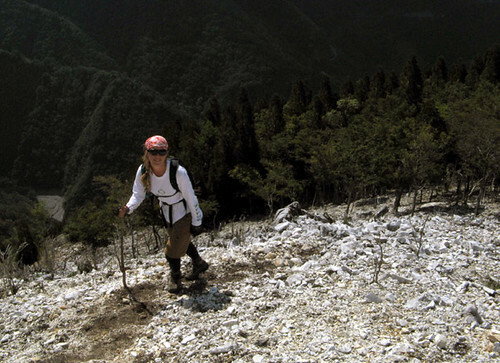 The route of the day was a traverse of Kamifukune-yama, at 1645m one of the higher summits in the range. We would spot the car and bike around the mountain first to get into position. In order to avoid the masses of slow vehicles that flood Japan’s roads as soon as it’s light out, a 4am start from Hondo was necessary. By 6:30 we began the 1000m climb that is required to enter the hills from the north. It took well in excess of another hour on very narrow, twisty, and half washed-out roads to penetrate only 14 linear kilometers into this labyrinth of steep-sided ridges and deep valleys, and reach what would be the exit point of our hike. Here we assembled our bikes and down the hill we went. 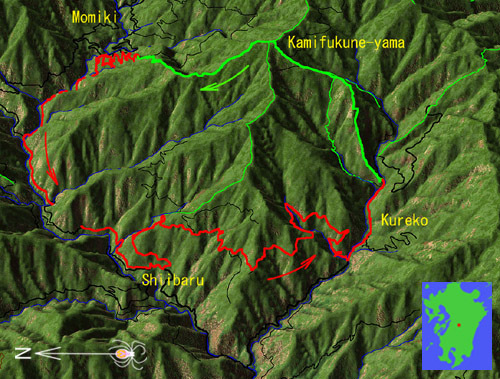 A simulated aerial view shows our bike/hike excursion around and over Kamifukune-yama, in the Central Kyushu Mountains. 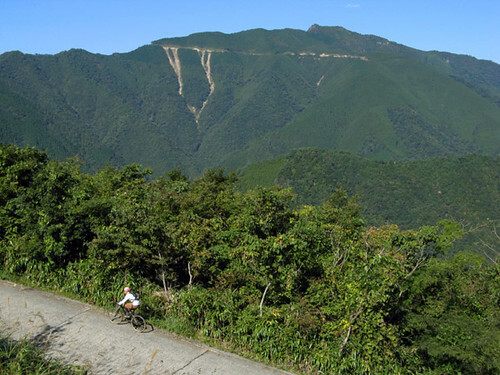 Our biking track is the thick red line (23.5km long, 1100m climbing), hiking is thick green (8.2km, 1060m). Black lines are other roads (thick=paved, thin=dirt), and thin green lines are other hiking trails. The village of Shiibaru, where we soon found ourselves, clings to the slope in an unlikely part of the claustrophobically deep and narrow Kawabe River. Here we were presented with an interesting option: rather than following the valleys, we could discard common sense and reach our trailhead via a new road that instead climbed pointlessly into the mountain, only to drop precipitously again after contouring across several ridges. At its starting point, a sign announced with an air of carefree happiness: “A road connecting mountains and villages” without caring to specify further. Luckily we knew the road could take us where we wanted to go. But just beyond was a less joyful notice: closed to all traffic due to typhoon damage. Oh well, we can probably get through, we thought, and began huffing up the hill, full of morning energy. This road stands as a good example of the utter nonsense that is modern Japanese infrastructure construction. To start with, why spend a millions of dollars to build a road that in 10.8km of length, climbs 460m into the mountain, only to go back down again, when a much straighter, 6.4km option that climbs only 150m already exists? This to connect two villages of perhaps 100 inhabitants each? Futhermore, because of the constant threat of landslides on the steep mountain slopes, the road is certain to be damaged almost every year. The answer to this riddle lies well hidden somewhere within the country's convoluted politics; suffice it to say that ultra-conservatism and corruption play a major role. It is perhaps not an accident that it's happening primarily in remote regions out of reach of the average citizen's eye. The same citizens pays for it dearly along with Japan's environment: daily, practically irreparable, and completely unnecessary damage. As we tackle the steep climb, we are presented with a view of a road similar to ours, contouring impossibly above on the opposite slope of the valley (indeed nearly every visible mountain seems to already have one). Numerous landslides have started from the road scar – tears of the mountain weeping. The slides threaten the valley below, but no worries, the engineers will probably compensate with some monstrous (though finally ineffective) concrete barrier somewhere lower down. Cresting the summit of our road, we begin to descend headlong toward Kureko Valley. Soon we find the cause of the road closure: a massive landslide, likely due to the road cut itself, has completely wiped out a section; this is now being replaced by a kind of bridge on concrete supports. We say hello to the workers who graciously let us pass – but we need to shoulder our bikes and walk a high, narrow beam. Exciting. Before descending all the way down again, the road climbs high enough to offer good views of the Kawabe valley and the surrounding mountains, including the majestic Nokeeboshi-dake (left background). As we continue descending, a view of the village of Kureko, squeezed picturesquely into a narrow valley, seems to evoke some distant past. Most of the tiny settlements in this area do have a long history, many say that after a crushing defeat at the battle of Dannoura in 1185, as the erstwhile powerful Heike clan scattered to the country’s most remote areas in a last-ditch effort to avoid persecution and execution, some of its members found their way here. At that time, the mountains were utterly trackless, and it must have taken months if not years to reach these remote valleys, where finally, respite could be had – for a time. 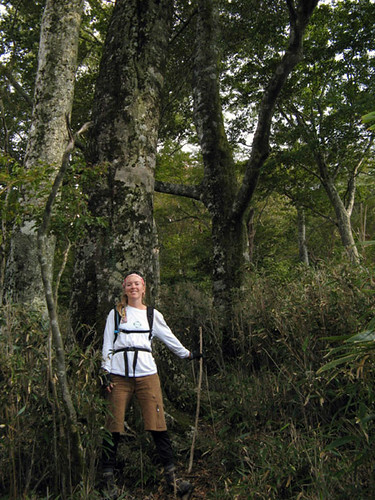 Then again, nearly every remote place in Japan we have visited claims to have some Heike connection or another. A perhaps less romantic possibility is that the authorities populated the area with prisoners captured in past invasions of Korea (eg. in the year 1592), the land being thought generally unfit for habitation by the natives themselves. That would tend to explain the somewhat strange sounding local place names (for Japan anyway), Kureko being one of them. When we do reach the village itself, we see signs proclaiming its historical status, but otherwise nothing out of the ordinary: just a normal tourist trap and cheap wooden and/or sheet metal houses that seem to typify country living everywhere in Japan. We locate the trailhead with ease and stash the bikes. Our bodies require some refueling after all that climbing, so we devour some energy bars before tackling a steep ridge that will rise 700m above the valley before it begins to level off. The whole mountain range must have formed by the erosion of some kind of high plateau, so the valley bottoms are steep whereas the tops tend to be gentle, with many rather indistinct peaks along the nearly horizontal high ridges. The valleys and ridges form an interlocking fractal maze, and views are not easy to get from the tree-covered, broad summits. Even when one finds a break in the trees, the surrounding mountains seem to get in the way of the view! Perhaps this is why these hills are less popular with hikers than, say, the volcanic Mt. Aso or the Kujuu Range, which stand out pimple-like and offer commanding views of large portions of Kyushu from their summits. From those vantage points the Central Mountains appear as a solid, dark wall, whose outer ramparts mostly hide the interior. In particular, Kunimi-dake, the group’s highest peak at 1739m, can’t actually be seen all that easily from any distant vantage point. But perhaps it is this feeling of mystery and greater wilderness that attracts us here instead. 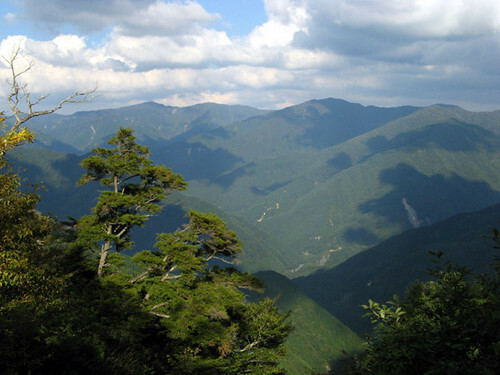 Yet another view of the rugged expanse of the Central Mountains, also known as Kyushu's Backbone Mountains. 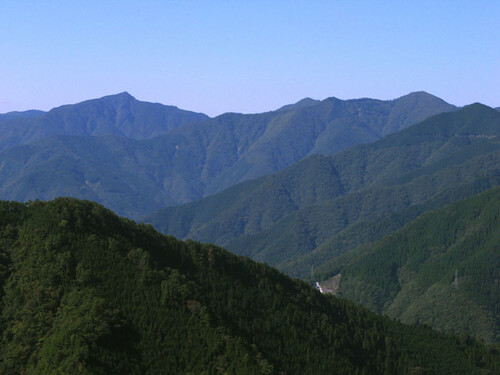 Kunimidake, the region's highest peak, can be seen in the background. Limestone forms the bedrock of the ridge and numerous little outcrops break up the monotony of the steep climb with views of the valley below. There is even a bona-fide cave with stalactites and such. Near here we meet a solitary descending hiker who reports that the mountains are not beautiful at all today. Shocked, we inquire why, but guess the reason simultaneously with his answer: the fall colors have not arrived yet! This comment, which we would hear once again within a week, underscores the local way of thinking: it’s fall, therefore there should be colors. It’s just like, you can’t swim in the sea, because it’s September. It’s amazing to what degree this way of thinking is ubiquitous in Japan. Not even hiking an entire mountain amid vivid beauty, bright sunshine, and late summer heat could open this hiker’s eyes. Climbing a white limestone ridge near the place where we met the sole hiker. As we continue our climb, the valley recedes into the depths below while sounds of steady construction can be heard from several distant points on the mountainsides. Beyond the valley opposite us another new road is being constructed. It may yet take a while to complete, but this one is aiming at a pass that connects to the Kuma River, and when done, will allow escape from this dead-end valley into another equally remote drainage. That will make for an interesting bicycle route but we can’t imagine local people will ever use it much. Nearing the summit, the limestone disappears, replaced by some much older metamorphic rock. Finally we enter the native forest that has been allowed to grow undisturbed along the tops of most of the high ridges in the range. The construction noises also fade away, and we are left surrounded by fairytale beauty of the virgin forest. This is the kind of magical place that inspires the landscape illustrations in the internationally popular anime movies, which perhaps give their foreign viewers the impression that Japan really looks like this. Luckily, the Central Mountains are one of the few places left where one can walk along for hours surrounded by the real version of this fairly tale. Today’s summit is typically anticlimactic; it is hardly a bump along the flat ridge. Only small slivers of distant views can be seen through gaps in the foliage here. We continue northward along the ridge for several kilometers, gradually feeling the depths of the valleys on either side of us increasing until we stand on the end of a massive buttress, with nowhere to go but down. We thus depart the magic land of the ridge tops and drop headlong into plantations of cryptomeria trees. The trail is actually very well made and descends easily – suitable even for a mountain bike. The plantations too are unusually well kept; the trees have been thinned regularly, and healthy undergrowth has established itself. If all plantations were like this, there would certainly be fewer runoff and landslide problems around. 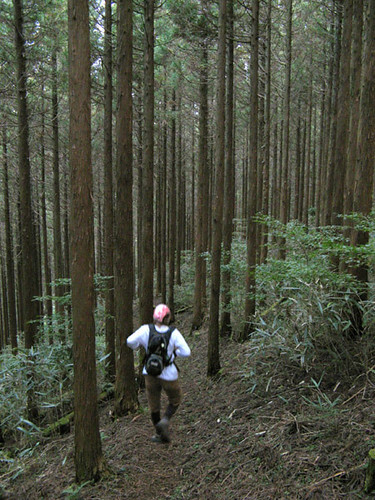 A running descent through the Cryptomeria plantation. Night begins to fall as we recover our bikes and begin the twisty drive back out of the hills. We had certainly used the day’s daylight hours optimally. It was a fun outing and a workout for the legs, which admittedly don’t see enough exercise in the kayak. With daily temperatures now in the mid 20's, we can finally declare this year's summer at an end. What a long, hot, stable summer it was (our rough two weeks in Okinawa being the sole exception, isolated both in time and space). Let us pay a tribute to it with this fairly random collection of pictures and thoughts. 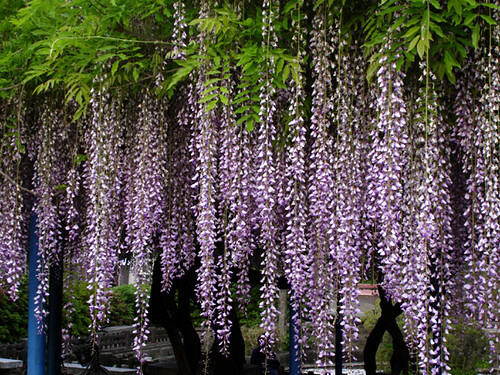 This is Wisteria, a vine ubiquitously cultivated on dedicated trellises at parks across the country. It blooms in May, typifying a warm, brief, uncertain spell between spring and the rainy month of June. 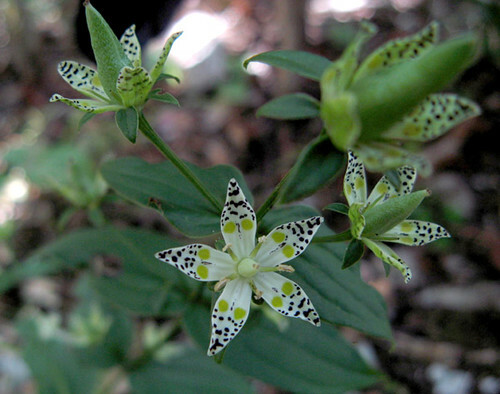 The Japanese are truly obsessed with such seasonal changes and prehaps that's why this plant, which also grows wild in the mountains, has become one of the few chosen wild plants to be loved. Its kanji character, read as 'fuji' (distinct from the famous mountain) or 'tou', also appears rather frequently in Japanese surnames, especially those with samurai heritage. For Golden Week holiday in May, we went rock climbing to Hachimenzan, in north-east Kyushu, having cancelled our more ambitious trip to Horai near Nagoya due to a dismal weather forecast and various tendon injuries from having climbed 5.12 a few times too often in the preceeding weeks. With wrecked bodies, and nearly daily rain, we did not accomplish too much here either but we had a fun, relaxing time anyway, camping in the nearby, newly built, but evidently not often used, roofed-over open-air amphitheater. 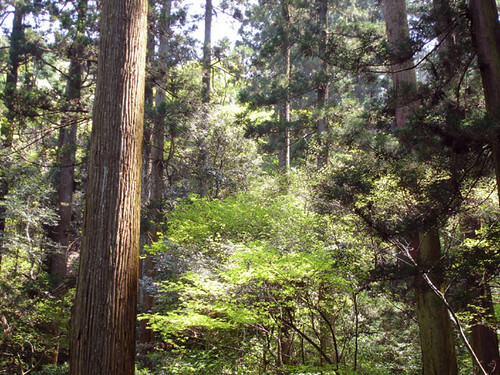 Japan has a long record of carefully coordinated forestry. 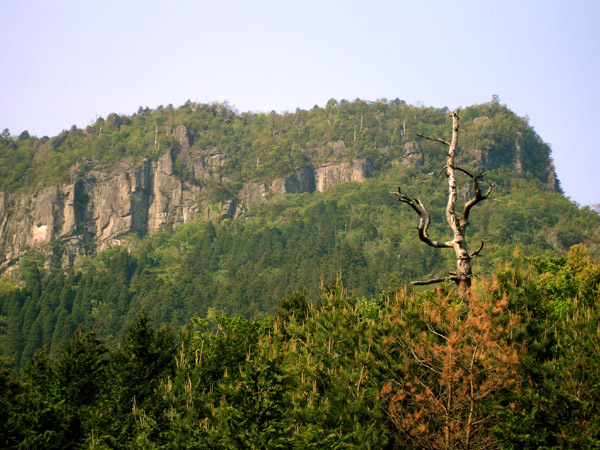 This fairytale forest in Oomura, Nagasaki Prefecture, close to our 'home' climbing crag Nodake, is actually the end result of a cedar plantation started more than 15o years ago but somehow never harvested. Although forestry efforts have run amok since the post-war era (too much monoculture, erosion and runoff problems, not enough maintenace, insufficient demand for expensive domestic lumber), walking through this place suggests a forgotten era of more common sense and a better balance with nature. 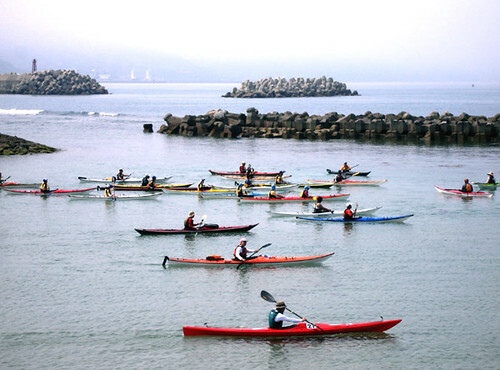 Late May saw the Sea Kayak Academy, a general meeting of Japanese sea kayakers, taking place for the first time in our home islands of Amakusa. While the background in this picture could not be more artificial (look closely and you can even see a coal burning power plant), the Academy is more about education, information, and equipment than touring. Even the two of us gave some lectures and talks, which seemed well received in spite of our funny Japanese. 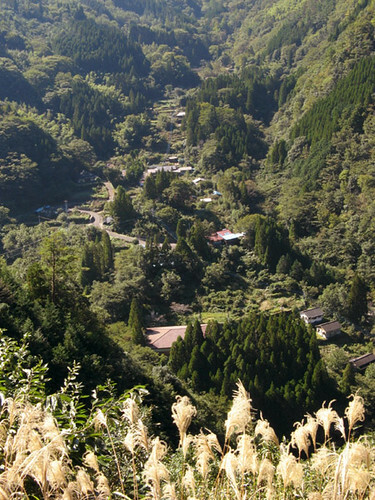 One of the best things that has recently happened to our home town of Hondo (now actually Amakusa City) is the establishment of Nishinokubo Park, an extensive public facility encompassing an entire small valley in the hills on the outskirts of town. 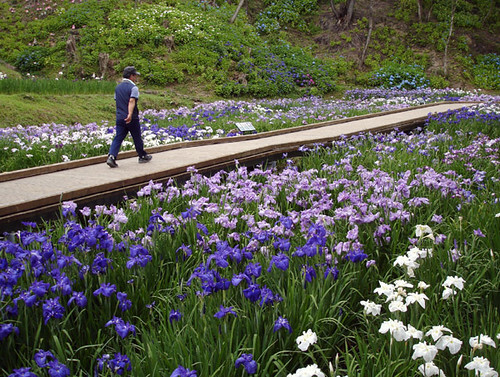 Where before there was only a swampy reservoir and half-forgotten, overgrown rice paddies, today the new park has become incredibly popular, with the Iris Festival in June as its yearly zenith. Citizens using the park's boardwalks for exercise could hardly ask for better surroundings. 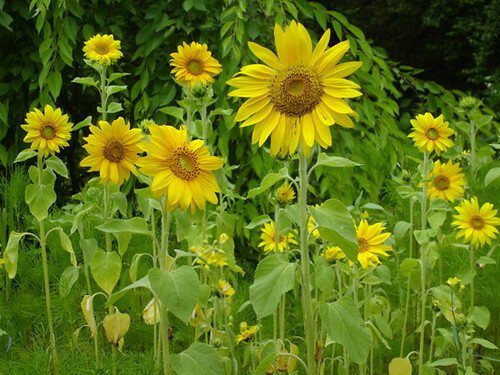 Sunflowers at Nishinokubo also announce the arrival of summer. This extremely tenacious species of fern covers nearly all hillsides in Amakusa. 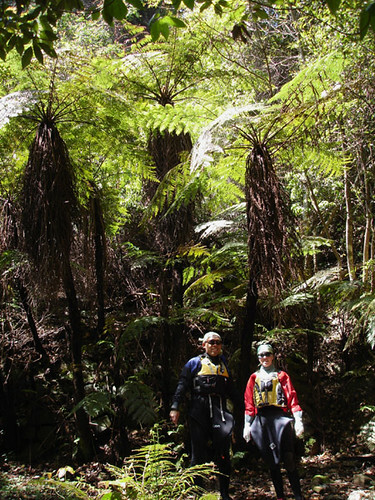 The dense tangle of fronds can reach depths of over one's head, making bushwhacking to reach a trail-less summit a truly masochistic experience. It is one of the few plants able to form an undergrowth in the ubiquitous cedar and cypress plantations, and in drier places it can choke out even trees, becoming the main groundcover in light green patches visible from afar. 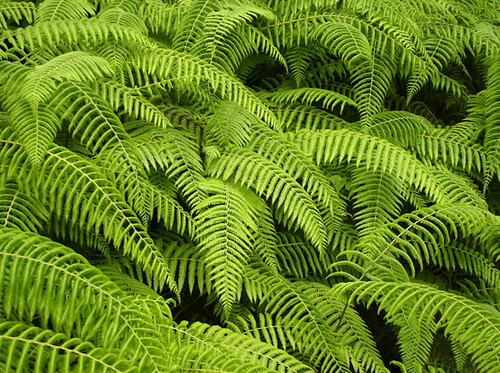 In early summer the fresh fronds look particularly attractive due to their delicate color and geometric beauty. Another species of fern called 'Hego' , actually is a tree. It is a subtropical species, and forests of it are common in the Southwest Archipelago. Here in Amakusa it is at its northern limit of distribution and only grows in patches in one tiny valley near the sea which seems to be the only local place that can provide the needed moisture, light, and protection from frosts. Leanne and our friend Nishikawa paid a visit by kayak, walking in from a nearby beach. The west coast of Amakusa between Yokaku and Oniki bays is our favorite local stretch of coast. Imposing cliffs riddled here and there with caves, rock pinnacles, sunken boulders, isolated beaches, and scarcely a sign of human presence make this 10km stretch rather special. Though we know its every nook and cranny by now, we often come here 'for a stroll' among the quiet sounds of the water and the cries of sea birds nesting in the cliffs. 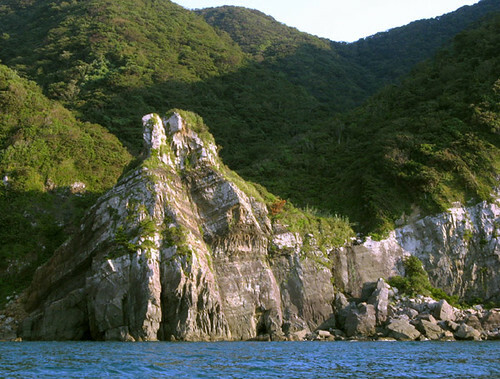 Fukumado is Amakusa's longest and largest sea cave (about 150m long, and large enough to accept a fishing boat). Here Nishikawa and Leanne lounge around at its entrance while Rick (taking picture) psyches up for the 10m plunge into deep water below. 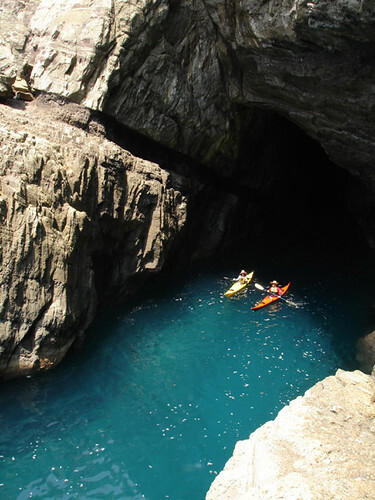 Another nearby cave has several entrances, including one that is completely submerged at high tide. 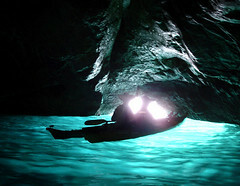 Kayakers can enjoy the delightful effect of a turquoise glow illuminating the cave from underneath. 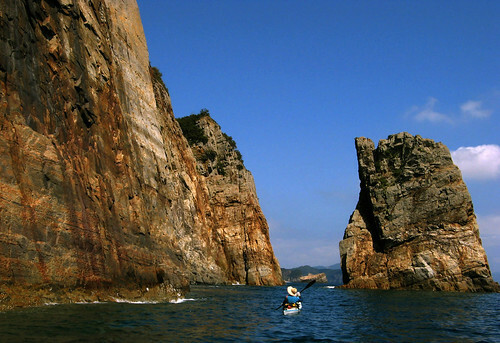 Exploring Amakusa's shores by snorkel is one thing we tell ourselves we should do more often. Many subtropical species of creatures can be found here, and their number is increasing yearly due to global warming. 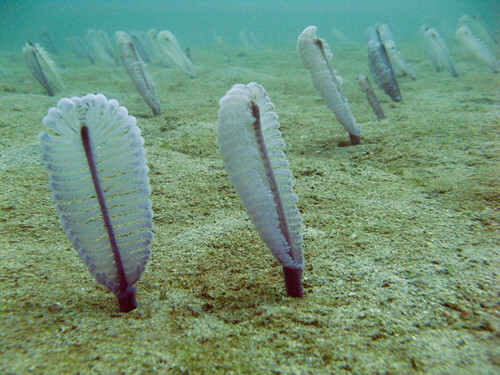 Here, what may be a species of worm living in the sandy bottom, filters plankton out of the flowing current. 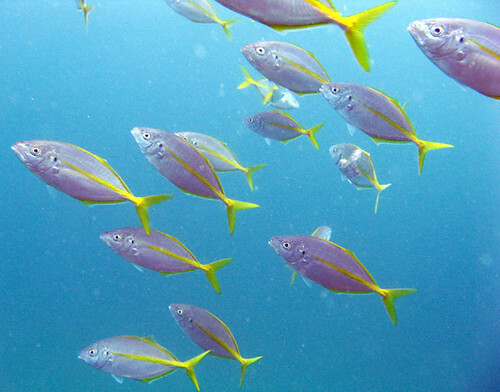 These colorful fish seemed to want their picture taken, schooling and swimming in circles around me. Though not as bewildering as in Okinawa, Amakusa does have a cornucopia of marine fish species. We were able to identify this one as young Pseudocaranx dentex (Shima-aji in Japanese). In September, heat and bright sunshine continued unrelentingly. We had the happy opportunity to paddle with Mrs. Chiba, a kayaker on an extended solo trip, roving around Japan in her van. We introduced her to one of our favorite day-trips: the traverse to Yushima. 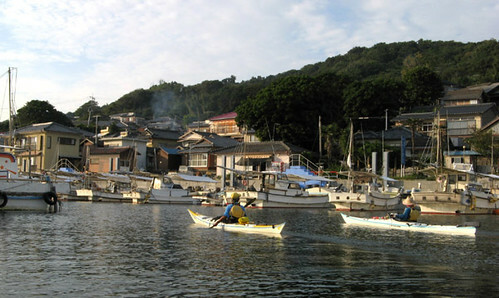 After a smooth 2-hour open-sea paddle, we entered the quaint Yushima port and village. 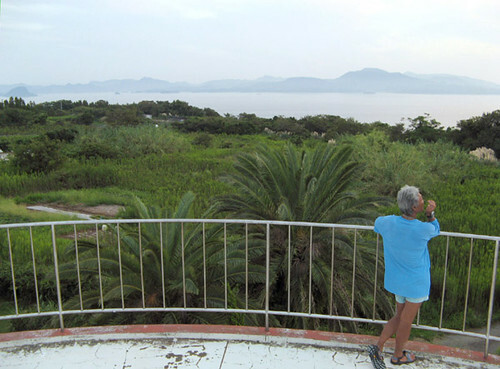 Chiba-san enjoys a sunset view of Yushima, the Ariake Sea, and Amakusa Kami-shima from the top of Yushima's water tower. Tidal conditions dictated a night paddle on the return, but with a bright moon and calm seas, this too was highly enjoyable. Chiba-san has accumulated a lot of experience on her trips: she is one of the few people we know who paddle as much or more than we do! It was a pleasure to chill with someone in that special frame of mind only an extended road trip can bring. Oh, what luxury! 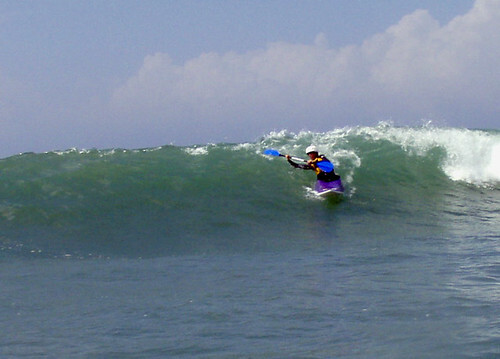 When there are waves, we are surfing, or atleast trying to. 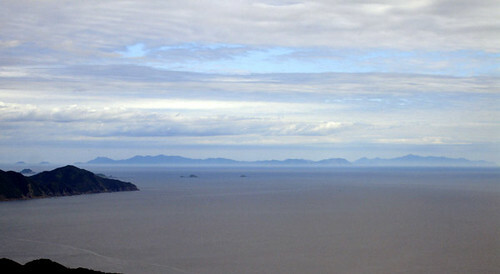 Koshikijima floats like an apparition on the horizon, 50 to 80km distant and seen in its entirety from Mt. Arao on Amakusa's west coast on an exceptionally clear day. The islands are no less mysterious and romantic than they appear from this distance. For those not familiar with the climate here in the southwest corner of Japan, let’s say that September can still be considered a full summer month. This year was no exception, with most afternoons pushing the mercury over the 30-degree mark. Though such hot, settled weather has lately been leading us to lethargy, we decided to make full use of the month’s final weekend, what with the forecast promising exceptionally calm weather. Packing four solid paddling days into two and a half, we endeavored to do a full circuit of Koshiki-jima, including the two nearly 40km traverses required from southernmost Amakusa. Beginning the tour at 10pm on Saturday (after work), we arrived on the shores of Kami-koshiki Island by 3:30am Sunday, making excellent time on the amazingly mirror-smooth, moonlit sea. By 8am, it was too hot to sleep; we pushed on down the entire west coast of the island chain, arriving at its southern extremity two hours after sundown at 8pm. Here we camped at Teuchi port. A 6:30am start on Monday and an early supermarket box lunch on the way at Nagahama had us poised for the timely completion of northward traverse of the entire east coast: we arrived at a convenient beach near Ite-zaki by sundown. Finally, departing there at 3:15am Tuesday, we completed the open traverse back to Amakusa by 11:45 (there were waves and a headwind, contrary to the forecast). The contrast with the wild coastal cliffs and open sea that surrounded us just hours before, as experienced at Hondo’s JUSCO shopping center (where we refueled with the Colonel’s Secret Recipe), was intensely surreal. Re-acclimated to civilization, we were ready to get back to work at 3:30. Not a moment wasted on this intensive, committing, but extremely enjoyable journey. A map showing our latest cirumnagvigation of Koshiki. Most of the traverse to and from Amakusa is not shown. Totals: 172km, 35½h of paddling. Physically, our bodies took it well, and Rick was glad for the opportunity work offered later on Tuesday for releasing much accumulated excitement and energy. There is no doubt: Koshiki is a gem: a wild, magical place of beauty and a natural aura that exerts an undeniable influence upon the psyche. The west coast of Shimo-Koshiki-jima near Imuta. Mile upon mile of such scenery continue uninterrupted along these coasts. 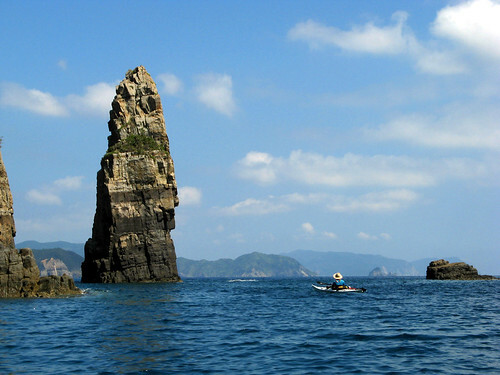 For coastal beauty, Koshiki is unmatched in Kyushu, in itself a place by no means starved of scenic seaside. But Koshiki has the most in terms of amount, size, and grandeur, especially relative to the size of the islands themselves. Some statistics done on available GIS data show that in an area roughly 40x12km in size, there is about 207km of coastline, yet “only” 37km (18%) bears the mark of man (in Japan, that is nearly always a bad thing scenically). By contrast, the national average is about 40%, and nearby Amakusa seems to have even more. Koshiki Islands in their entirety are so incredibly rugged that in spite of its best efforts, the Japanese construction machine, formidable and well greased as it is, grinds to a halt here. That there is no point in concreting uninhabitable coastline is sometimes not enough to stop various engineering efforts, but here, the sea cliffs are so precipitous and imposing that it is just plain impossible to touch them. 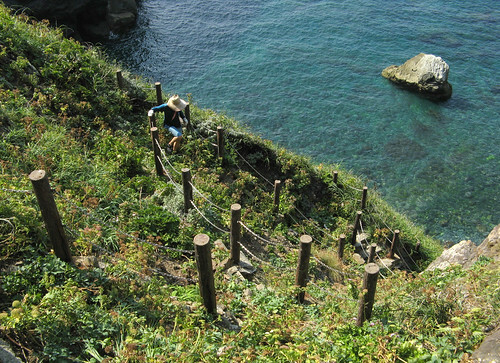 The concrete in Koshiki is limited to the scattered nooks between the cliffy mountains and the sea where the islands’ tiny towns and villages are nestled, and of course to the pointless yet numerous roads contouring the mountainous slopes; these latter are, however, so high up above the coast that they are difficult to spot from the seaside. Of course, a mere enumeration of the damage done to a landscape by man does not normally guarantee its beauty. But in Japan, because of the ubiquity of such damage, it does seem to be a pretty good index in general. 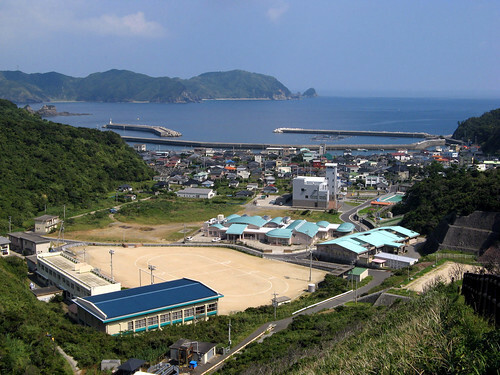 The village of Imuta is fairly typical of a Koshiki population center. Heavy involvement of government sponsored construction has created an appearance that belies the village's modest reality. 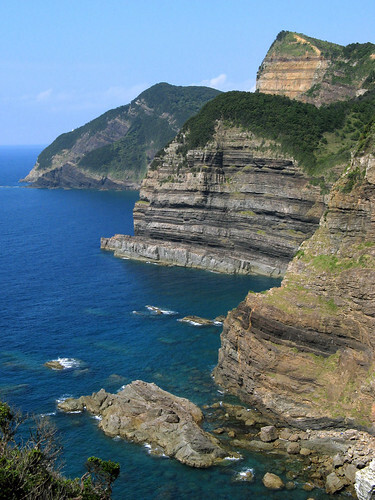 Koshiki’s outlying location and low population make the surrounding seas significantly clearer than most of the rest of the Kyushu coast, adding further quality to the unspoiled vistas. Transparent, fresh-smelling seas are always eagerly sought, yet not so frequently found, by us. But the crowning touch of these islands’ beauty is something not so clearly definable. Perhaps it is the quality of the rocks and cliffs, so changable in character: huge scree landslides giving way to dark gray rotten shale behemoths split by igneous intrusions of different colors, morphing into delicately layered gray sandstones in overhanging cliffs like upside-down staircases, then subtly changing into hard ochre sandstone monoliths hundreds of meters high, vaguely reminiscent of the American desert southwest. All these formations are endowed with spectacular outlying pinnacles and various caves at water level, full of surprises waiting to be explored. So it happens that of the 170km of natural coastline here, we consider at least 110km to be ‘outstanding’ of quality and interest to exploration; while the remainder can be labeled ‘interesting’ at least. 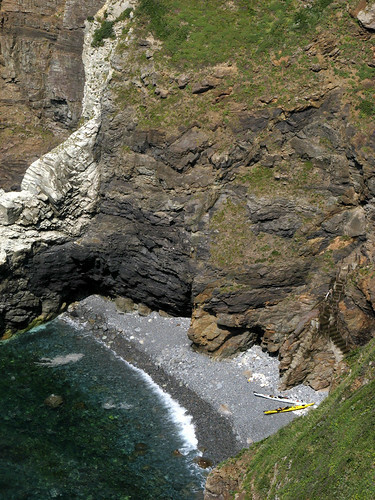 Could a coastal kayaker possibly ask for more? Leanne carefully makes her way down the selfsame trail; typically, once built, such trails go completely unmaintained and quickly fall into a state of disrepair such as this. One final point to be considered, one that makes the place just about perfect in our minds, is this. Besides the rugged coastal beauty, and a small amount of cultural heritage in the villages (like the attractive cobble walls along the old alleys in Teuchi we discovered this time around), these islands are not capable of offering that much more to the visitor. Sport fishing is certainly great, but the expense and inconvenience of getting here put off the multitudes. Where in Amakusa, we may see a hundred or more expensively outfitted men perched on the seaside rocks on any given day, in Koshiki we see less than a dozen. It’s not likely the place will ever be commercialized and hyped up as the next amazing travel destination. Not unless the sea kayaker population in Japan increases by a thousand-fold. And that just does not seem to be in the offing. A scene from the east coast. More east coast scenery, near a point called Mitare. Many more kilometers of beautiful coast stretched yet ahead of us at this point.